Homeschooling: to do or not to do - that is the question! Just today, I received yet another call from some potential home schooling parents - very close friends of mine who are so dissatisfied with their local school system that they are seriously thinking of home schooling their two teenage children. But that is not the only reason why you may want to home school your child. Of the thousands of children that are home schooled today, many of their parents (like my friends) are simply not happy with the education (both academic and non-academic) that the local school system is providing their children with. You don't have to be a teacher to home school your children. If you can read and write and communicate effectively, your children will learn. There are some extremely good curriculum programs with excellent teaching materials that will help you to both plan and teach. If you come across some really difficult topics or subjects, there is always the option of hiring a tutor if it is within your budget. While homeschooling itself need not be expensive (some programs can cost as little as $200 a year) the opportunity cost of not being at work could challenge your family's finances. Usually one parent will home school the children while the other works away from home. This might require some sacrifice if the family is used to having two incomes. Homeschooling is a great way of having more control of who your child associates with. There is a less of a chance of meeting unsavoury characters that otherwise might be lurking in the school hallways. On the other hand it will require that you make an extra effort to ensure that your child still gets together with other children, preferably his/her age group. Does Your Child Want To Be Home Schooled? Some parents make the fatal mistake of assuming that their child wants to be taught at home - when in fact they don't. There is nothing more frustrating than trying to teach a child who has made up their mind NOT to learn! Please take the time to speak to your child to make sure that they are willing to be a part of a homeschooling program. Which approach to homeschooling will work best for you? 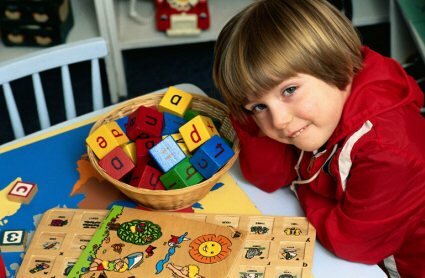 School at Home, Montessori, Classical homeschooling, Waldorf Method, there are many different approaches to teaching your children at home. You need to choose which approach will work with your child's learning style, your schedule and your academic goals, Multiple Intelligences, Unschooling, Unit Studies, relaxed homeschooling, etc. There are many support groups that can be broken down by state, county and city. Some may be more helpful than others, but getting connected is a very important aspect of teaching your children at home. People have been doing this for years, so take the time to learn from their experiences, don't reinvent the wheel! While all of the above may seem a little overwhelming, the key thing that you need to remember is that you only need to take a step at a time. Also, if you do make the decision to homeschool you children, remember that you only need to commit one year at a time and if it doesn't work for you, simply choose another option that works for you and your family. I hope that this works as a good foundation or launchpad if you are starting to think about homeschooling your child.